Nowadays you have more versatility than ever to deliver the very best customer care, but social media channels and live chat tools aside, content as customer service is becoming more important. In recent years, content marketing has become integral to the online profiles of organisations of all sizes and niches. Now, with the right strategy, you can use good content to engage, inform and even inspire your customer base, regardless of whether your aim is to attract new customers, retain existing ones or both. In this article, we take a closer look at how important providing the right information in the form of blog posts, infographics and social posts is when it comes to your customers and whether publishing such content can in fact increase customer engagement as a result. Is content the key to customer engagement? Publishing your own content both on-site and off of course harnesses a great number of benefits for businesses. From increasing visibility in search and upping your domain authority to boosting referral traffic, social reach and conversion potential. Brands that publish blog content on their website have 434% more indexed pages than those who don’t. Even for small businesses, blogging on a regular basis leads to 126% more leads than those who don’t keep their on-site blog updated. After reading recommendations provided on a blog, 61% of online consumers make a purchase. Content marketing as a whole, generates conversion rates six times higher than any other traditional marketing method. Blogging has a direct impact on traffic too, with websites publishing 16 or more posts each month enjoying 3.5 times more traffic than those publishing four or less according to HubSpot. It’s not just on-site blogs where content makes a huge difference to the customer experience. Some 71% of consumers said a good social media service experience would make them more likely to recommend a brand to a family member, friend or colleague. There are a vast number of opportunities that are just waiting to be unlocked by brands willing to invest a little time in implementing a content marketing strategy. 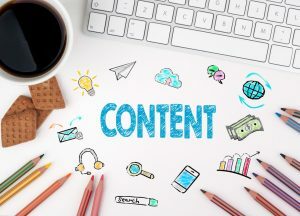 Good content is an excellent communication tool, and effectively connects brands with consumers who have an interest in their field of expertise. How can I use content as customer service? Despite the successful statistics connected to content marketing methods, using content as customer service is under-utilized or under-resourced across a variety of industry sectors. Many brands now provide customer service through their social media channels. Social media is in fact the top choice for consumers looking for good customer service, yet 89% of social media messages received by brands are ignored. The average response time for the messages that are replied to is also poor, taking brands on average 10 hours to get back to a customer with a query. The average social media user however is only willing to wait 4 hours according to research conducted by Sprout Social. Publishing content across your social media channels, blog roll and off-site via a network of carefully selected, credible websites is the key to promoting a customer focused culture brand-wide, but how can you really make the most of your content offering? Here we provide our top tips for using content as customer service to increase engagement and reputation, whilst staying true to your brand. As we’ve seen from the statistics mentioned above, posting good content on your website’s blog roll is often a sure fire way to increase traffic but it is also an excellent way to stay engaged with your target audience. You don’t have to just post via your blog either, mixing up content production and publication across a range of channels, including your blog roll, social media profiles and third party websites is important. Choose topics that will resonate with your audience for the biggest impact. Posting for engagement is about finding and talking about subjects that your audience is genuinely interested in, so do some market research and get to know what your customers are really passionate about. As well as using your findings to focus on the evergreen topics that are integral to your brand, you can use content across your blog, social media channels and guest post appearances to answer the questions commonly asked by your audience, set service or product expectations, and communicate product or service information and news. Posts come in all shapes and sizes, and whilst you are restricted in some respects with social media posting, the possibilities are endless in terms of word count when posting to your own blog or indeed selected third party websites. Long form content however is an excellent route to better engagement and higher quality. Take this long form how-to guide for example, a fun subject matter with lots of useful information, two factors that are certain to impress your audience. Good content doesn’t have to be just words, there is so much to explore in regards to the creative, brand consistent content types. Infographics are favourites among industry insiders; as well as being a colourful addition to your blog roll and guest post contributions, they garner excellent engagement results on social media. Infographics are liked and shared three times more than any other content type on social media so it’s certainly worth the effort of teaming words with graphics. Like with long form content, there is tons of infographic inspiration out there – this infographic from MacFly Pro is a personal favourite of ours. As our example proves pretty much any subject matter can be explored with infographics, even the long running debate of whether Apple or Android is better! Using content as customer service is a tactic that can be easily called upon by so many brands, and there are plenty of rewards for those brave enough to embrace content as customer service. From building a community of loyal customers and branding your company an authority figure in its respective industry to getting to know your audience, improving SEO and simply adding value to your online offering, content marketing has the power to not only show your customer who you are as a brand but show them that you care. Richard Barker is the owner at Harrison Mann, a UK based Web Design and Digital Marketing Agency. Over the past 9 years he has successfully worked with organisations around the world and also built up his own sites from scratch. Connect with him on Twitter & LinkedIn. This entry was posted in Articles and tagged content marketing, content strategy, customer care, customer service. Bookmark the permalink. Very good point, content is main for markting..
As it is very important for both chat agents and customer. Our first priority should be customer satisfaction. You are certainly right, all your data is just impressive. I certainly like any other person knew that using a blog helps to increase traffic, but that it would help by 126% more, it was news to me. I now work as an author on one written service, we also use our blog to promote, but we do not have such a growth in traffic. Undoubtedly, maintaining a blog is a difficult business, and you need to take into account a lot of nuances. But maybe they could help me, and advise some good methods that would surely improve my situation with the traffic of new customers? Thank you for sharing! It’s so interesting to learn about these things. After reading this excellent post, I am also focussing on my content I got great points from here about content writing. Very good, content is main for markting..
Is content the key to customer engagement? is a fantastic question and yes it is absolutely. It’s also very important how the content is shown. Client commitment is a business correspondence association between an outside partner and an association through different channels of correspondence. This association can be a response, communication, impact or in general client encounter, which happens on the web and disconnected.